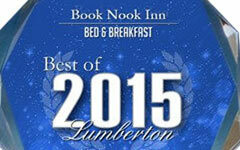 LUMBERTON August 17, 2015 -- Book Nook Inn has been selected for the 2015 Best of Lumberton Award in the Bed & Breakfast category by the Lumberton Award Program. Visitors often ask if it is an old house that has been remodeled. Or possibly an old church turned into a house? No, the rambling rooms, decking and Escher-like stairways of the Book Nook Inn are a unique design from the fertile imagination of owner David Hearne, who was once part-owner of a general contracting company. Turning your own home into a B&B can require less capital. After their daughter went to college, the Hearnes opened with four rooms by renovating one room so it accessed a bathroom. They've since built a 2,400-square-foot event space, which can seat 120, and they're adding a fifth guestroom. At the Book Nook Inn in Lumberton, Texas, guests can stay in the Steampunk Room. (Steampunk is a little bit Victorian, a little Industrial Revolution and a lot of Jules Verne and H.G. Wells.) The room has furniture with steampunk flair, a "steampunked" refrigerator and a flat-screen TV in a steampunk-style cabinet. Stacie and David Hearne are living what is, for many, the ultimate retirement dream: owning and operating a bed & breakfast. 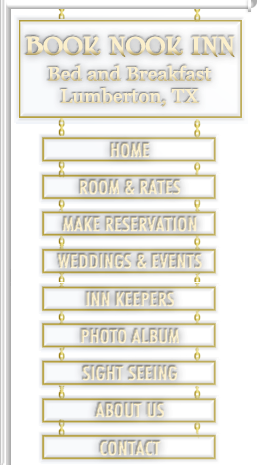 Book Nook Inn is their home and their elegant offering to weary travelers to Beaumont, Texas and the other communities of the Golden Triangle. 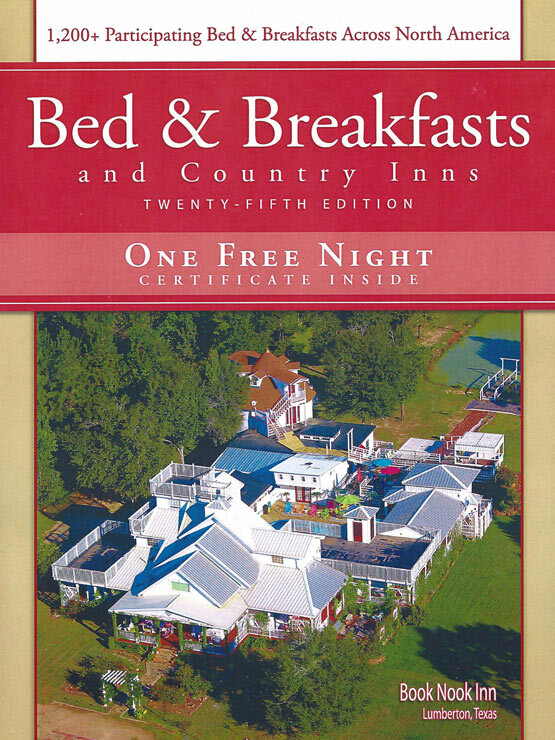 In fact Book Nook Inn is the only accredited Better Business Bureau bed and breakfast in all of Jefferson, Hardin, Orange, Newton, Jasper, Tyler, Chambers and Liberty counties. David, a novelist and software specialist, and his wife Stacie, started building the house from scratch eight years ago and opened it as a Bed and Breakfast almost two years ago. BOOK NOOK felt like a ranch style home meets magical hideaway — with lots of staircases and rooms to explore. Definitely visit the website to see their cool, original design. 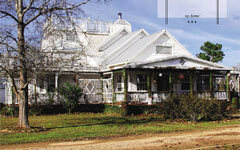 The Book Nook Inn is a hidden treasure in Southeast Texas. The property is nestled off Cooks Lake Road in Lumberton. It's an older home that has been turned into a bed and breakfast where you can enjoy relaxation at its finest.